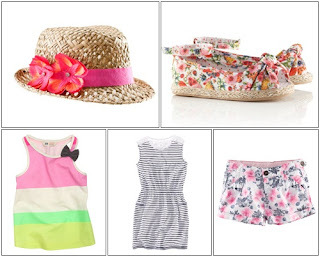 Babblings of a Mommy: H&M Kids Fashion Haul! I've always been a fan of H&M, but now I literally have a store 2 minutes away from my house so I find myself shopping there all the time - especially for kids clothes! They have the cutest stuff and they're always priced extremely well. I know I don't really do fashion hauls, but I thought I'd show you just a few things I got Arianna. Anyway, I also got her a few long sleeve shirts since it's still chilly here, and some leggings she can use in the summer for just $5 bucks! Hopefully they have everything at the store. Do you shop at H&M for your kids? You got some cute stuff! I have not been to H&M in a while. P needs that tote! Thanks, you should definitely go! They have a ton of cute stuff for Peyton.